These cottages both have 5 bedrooms and can sleep up to 10. Each has two bathrooms one on the ground floor with wet room style shower area. The 5th bedroom on first floor has a double sofa bed and TV/DVD player so can double up as a children’s playroom/chill out room or be made up as a double room. 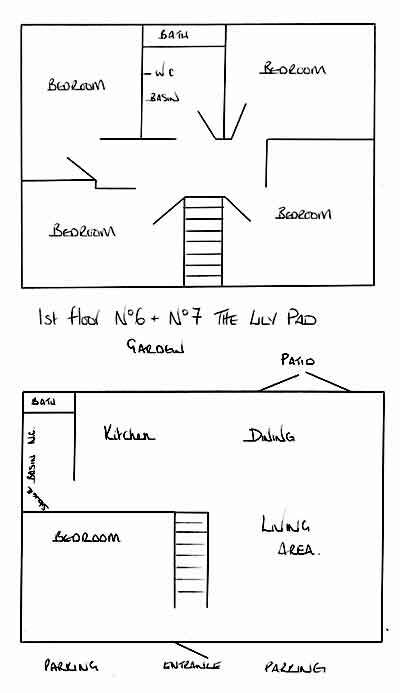 The remaining four bedrooms all have zip and link beds so can be made as twin bedded rooms or king size doubles. The open plan living area is spacious and has 3 large leather sofas, dining table and chairs and a well equipped kitchen including a dishwasher. They both have a decking area with outdoor dining and chairs. Parking is directly in front of the cottages, these are suitable for guests with mobility issues.